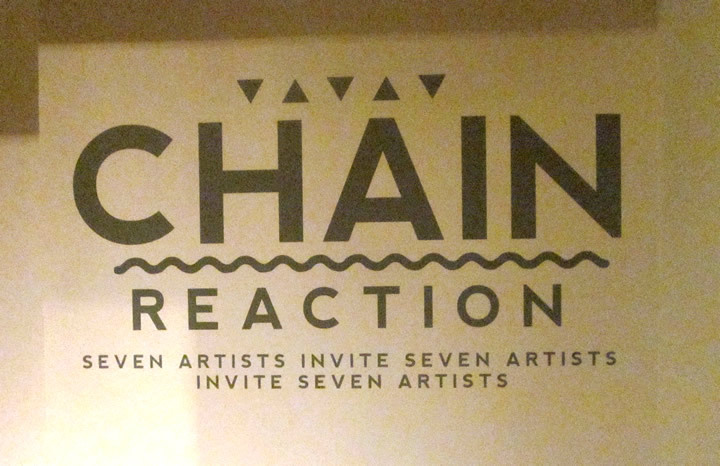 Great reception last night at Gallery Hotel Indigo for "Chain Reaction". I am very proud to be a part of this exhibit. Thank you Didi Dunphy, Hotel Indigo, Larry Jens Anderson, Seana Riley and Everyone who attended! Chain reaction, a sequence of events leads to a series of actions or reactions creating positive feedback. Seven artists invite seven artists invite seven artists = 21 works of art.